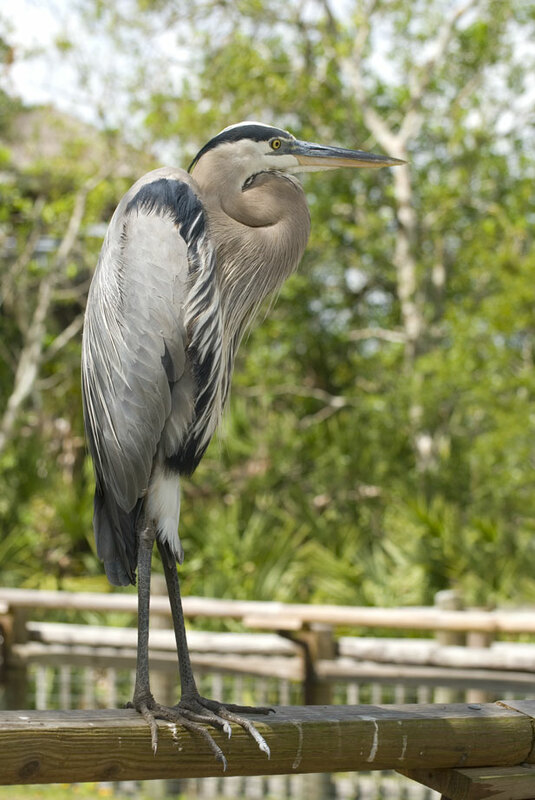 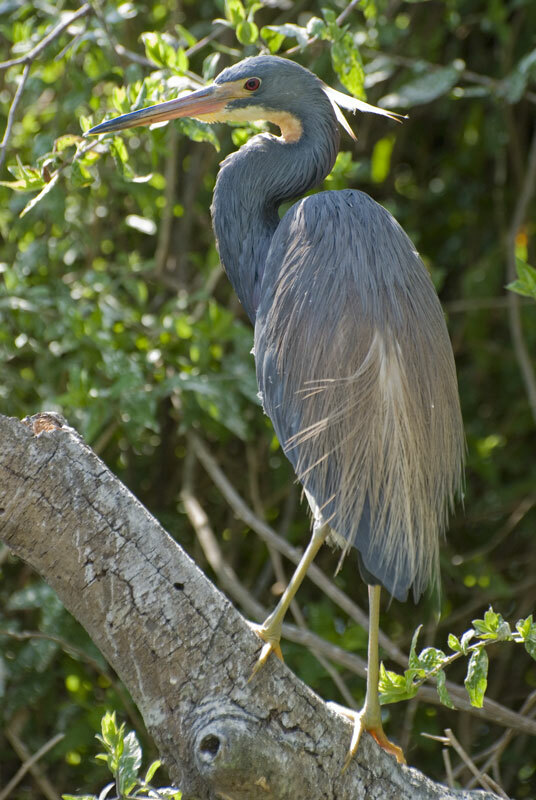 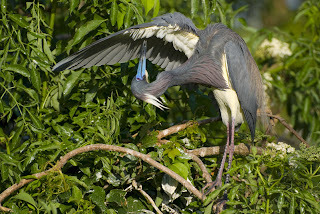 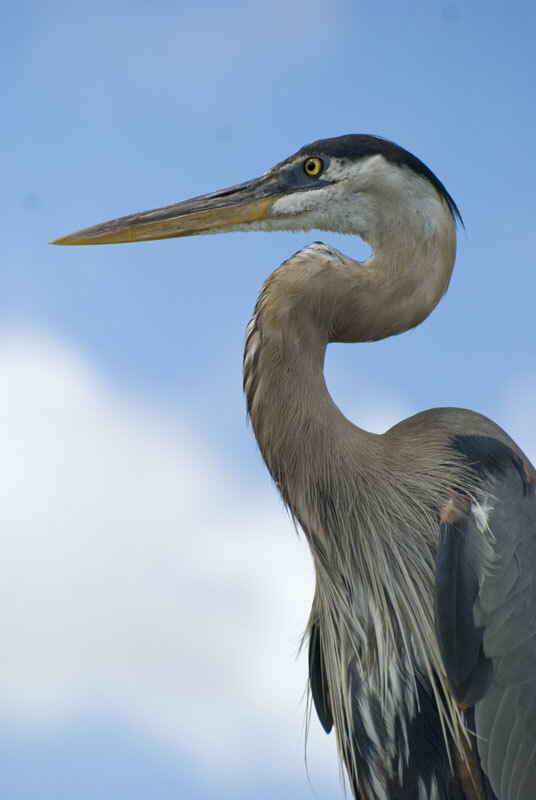 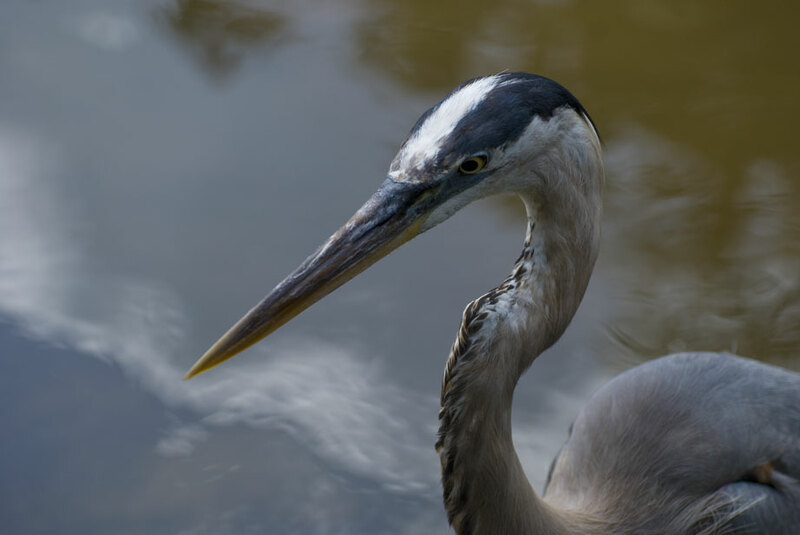 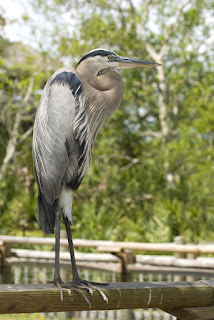 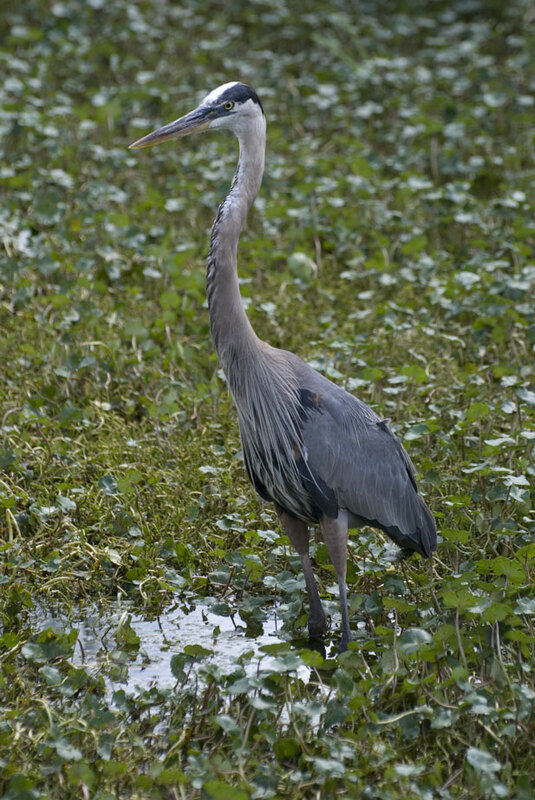 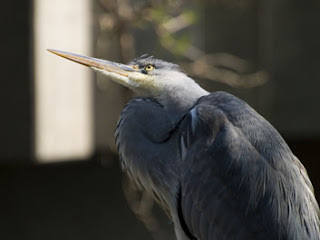 This was my first encounter with Tricolored herons. 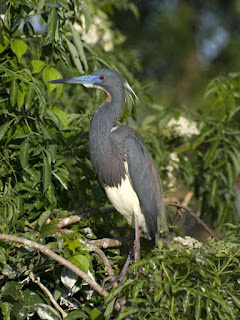 I love their blue, purple coloring and red eyes. 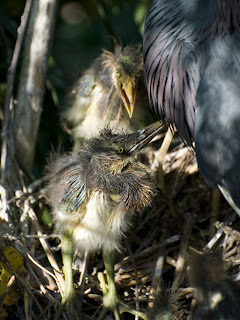 Mom with young. 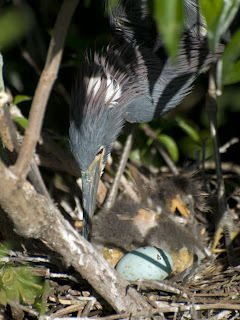 You can see the little one in the egg is starting to peck its way out. 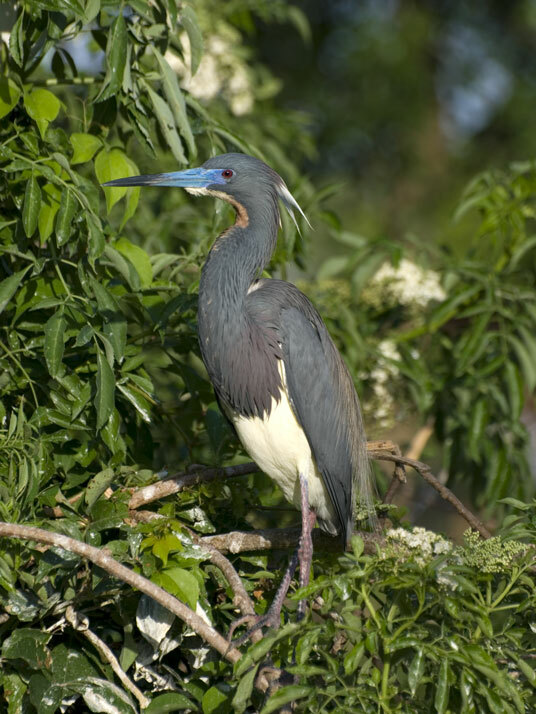 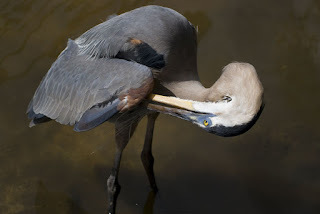 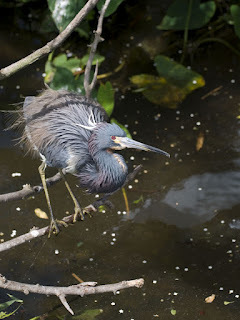 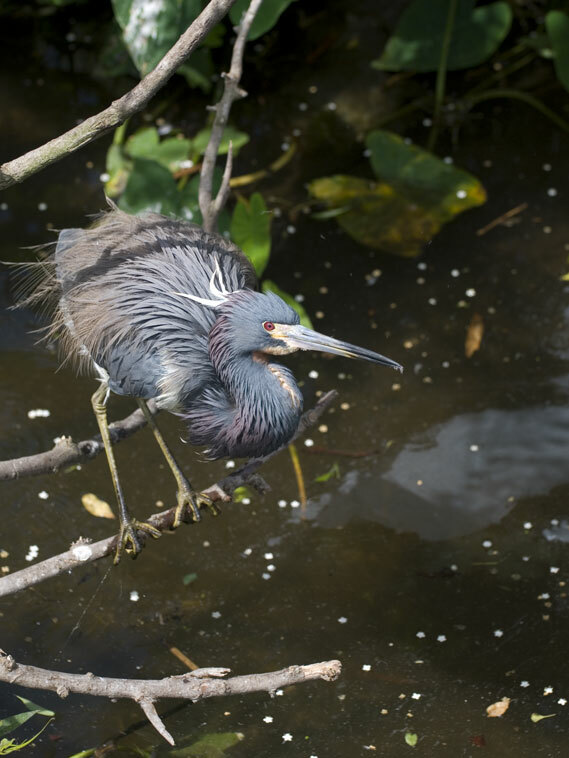 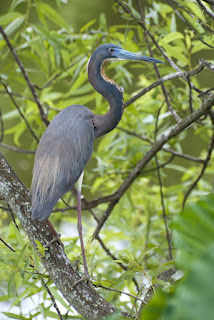 Slightly older tricolored heron baby. 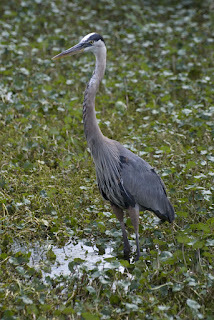 A familiar site in many places in North America. I love how they look like pterodactyls flying through the air from far away. 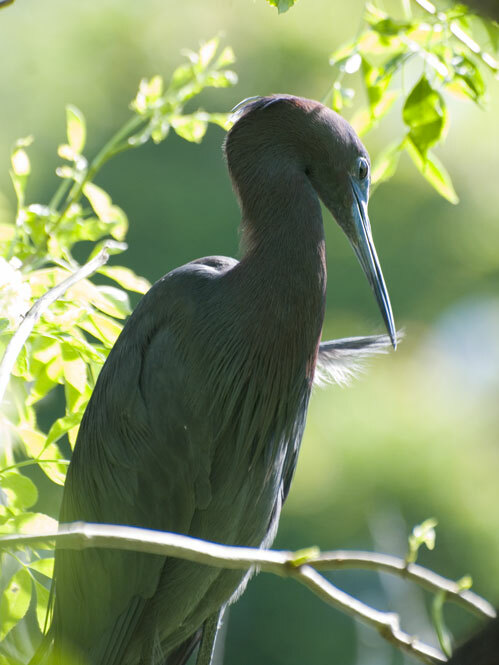 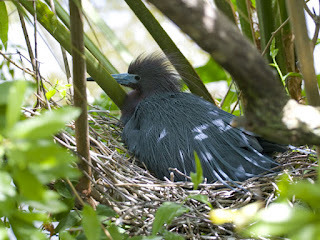 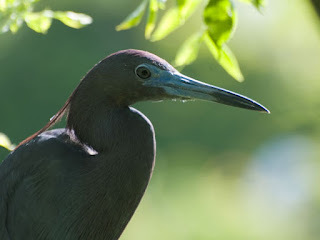 This was my first encounter with the Little Blue Heron. 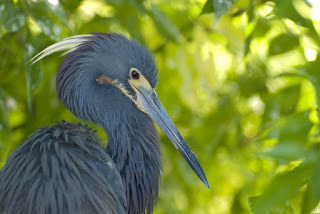 They are stunningly beautiful birds.